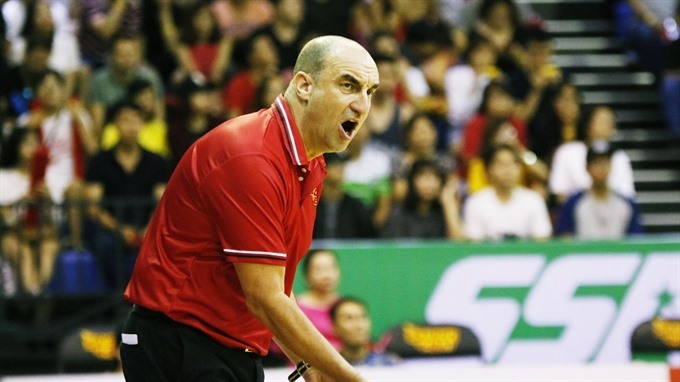 HÀ NỘI — Saigon Heat, the first professional basketball club in Việt Nam, have said goodbye to coach Anthony Garbelotto following the team’s repeated inability to win the ABL title. Garbelotto, who is from the UK, worked in Europe and America for more than 15 years. He coached many professional clubs such as Newcastle Eagles, Birmingham Bullets and Mersey Tiger. Garbelotto came to Việt Nam in 2014 to train the Heat. Under the guidance of Garbelotto, the Heat have competed in the semi-finals of the ASEAN Basketball League (ABL) for three years in a row. However, these results haven’t satisfied Heat leadership. In the 2016-17 season, the Heat aimed to take the ABL title, but they were stopped in the semi-finals after losing to Hong Kong Eastern Long Lions.